The Binary Options industry has seen impressive growth over the past few years. This is mainly as a result of how many people enjoy trading them. When one trades Binary Options, there are any number of underlying assets you can trade for a large range of time scales. There are also a long list of investors who have made a lot of money successfully trading Binary Options. Binary options can also be investing in with relatively little initial capital outlay. This is why it is a favorable investment alternative for new investors in the market. Before we dig into simple Binary Option strategies, we have to start from the basics. A Binary Option is a special type of financial option. Financial options are instruments which allow the holder the right but not the obligation to buy or sell the underlying security at the expiry of the option. The value of the option at the expiry is determined by the original strike price of the investment and the current prevailing price. When it comes to a Binary Option, the payoff at expiry of the trade is either 100 or 0. So, in other words, if the current price at expiry is above the strike price, your option is "in the money" and you will get the payout. If, on the other hand, the price at expiry is below the Strike price, the value of your option is 0 and you lose the trade. Hence, when investing in Binary options, the gain and loss is always known at the beginning of the trade. This makes investing in binary options relatively simple and secure (you always know one of the two outcomes). In essence, a simple Binary Option trade is a bet on whether the value of asset will increase or decrease over the life of the option. 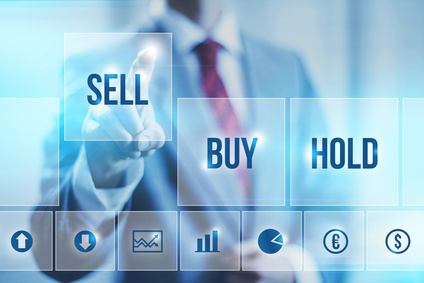 There are two types of simple Binary Options, a "call" and a "put". The call is a bet that the stock will increase in value and the put is a bet that it will decrease in value. After you have decided which way you would like to bet, you have to decide on how long you would like to set the expiry. This time can range anywhere from 60 seconds to 6 months. How to Trade a Binary Option? Before you can trade Binary Options, you will need to open an account with a broker. Many brokers allow you the oppurtunity to test your trading skills with a demo account. This will give you the piece of mind to invest without staking any funds on the trade. Once you have opened your broker account, you can start trading. You have to now select the assets that you would like to invest an option on. Nowadays, there are any number of assets that you can bet on. These include Forex, Stocks, Indexes and commodities. Now that you have your asset that you would like to trade, you need to analyse it to determine in which direction you expect it to go in. There are a number of views you can take based on the type of analysis you choose to embark on. You could use fundamental analysis or technical analysis to inform your opinion. Fundamental analysis would be based around factors such as the Economy, interest rates, inflation and other macro-economic factors. If you were placing a position on an individual stock then you would analyze the company's earnings potential, cashflow and balance sheet position. You can also use technical analysis to inform your trade. This is based around the actual level of the asset currently and compared to where it was in the past. There are a number of resources and educational materials on how to use basic technical analysis disciplines to inform your trading. Once you have formed your opinion of the direction of the asset, you need to decide what sort of option you would like to enter. You need to decide on whether you would like a call or put option. Once done, you need to choose how long you would like the trade to last. This is the expiry time and the point at which the option payoff will either be 100 or 0. As with all forms of Trading, investing in Binary Options requires a concerted effort to manage your money effectively. You should never allow emotion to enter your investing decisions. There may be occassions when a previous loss may make you reluctant to trade after a positive signal. The same can be said of entering a position based on previous success. Assuming that you do not have the time to constantly monitor your position, you can make use of professional binary options managed accounts. These individuals study the market continuously and are therefore able to incorporate all of their inside knowledge in order to improve your chances for investing success. I agree with you that binary option industry is growing day by day. There are increasing the list of investors who have made lots of money. Find best BINARY OPTIONS TRADING SIGNALS Online to become a more gainer.